When it comes to choosing a Botswana safari camp, quality options abound. All-inclusive standards are high, and guests are almost always entitled to their choice of two daily excursions centered around regional wildlife and seasonal opportunities. With so many winning picks on the table, read on to learn why a few forerunners stand out from the rest. Exclusivity sets the tone at Chief's, where luxury meets adventure on an island in a wooded lagoon of the Moremi Game Reserve. 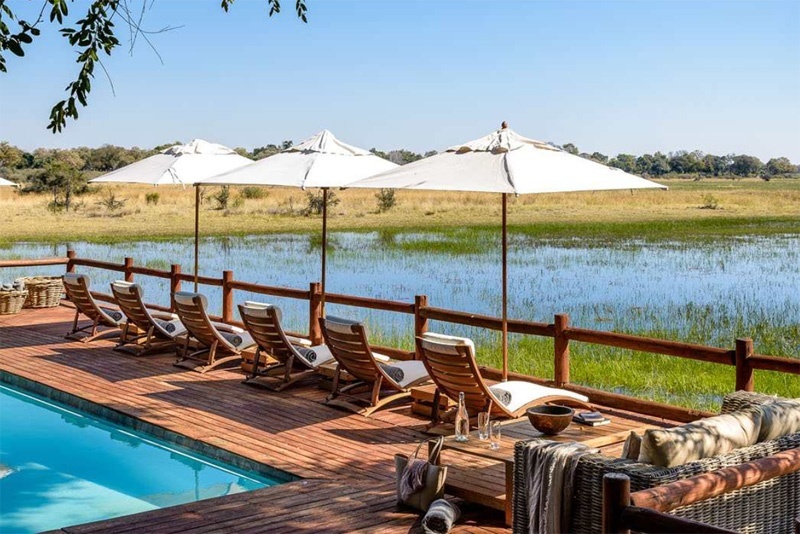 The property is constantly rated a top Botswana safari camp by Condé Nast and Travel & Leisure, and the ten bush pavilions and new Geoffrey Kent Luxury Suite are some of the largest in the area. Meals are served on private terraces with plunge pools, and the main complex features a fitness center, full spa, and children's retreat with PlayStation. 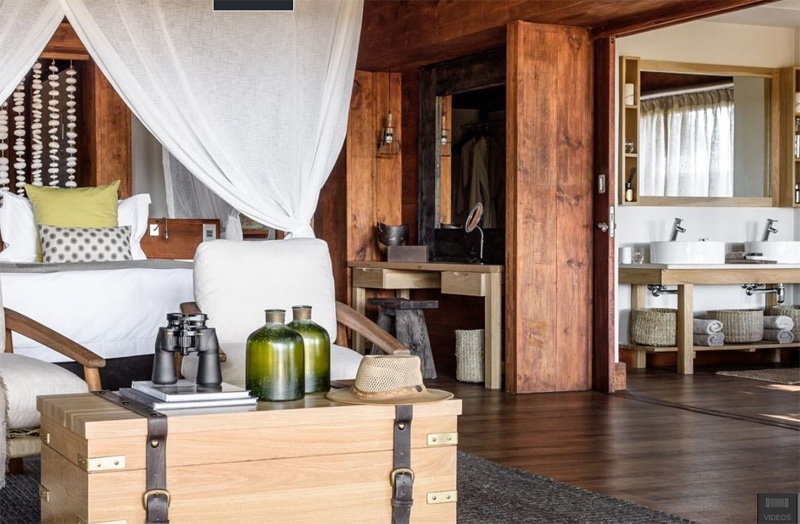 The Kent suite comes with a personal housekeeper, guide and safari vehicle. To top it all of, a scenic helicopter flight can be added onto any Chief's itinerary! Lagoon is reputedly the place to see wild dog in Botswana, but just as enticing are the camp's two resident cheetah brothers, Bonga Pride of lions, and herds of up to 1,000 elephant and buffalo in full view from the main deck during wintertime. Lagoon is also prized for its mokoro (traditional dug out canoe) excursions and sundowners on double-decker boats with fishing opportunities (available anytime except January and February). The Kwando Linyati concession is private, so night drives are possible at Lagoon Camp and vehicles can go off-road at any time in pursuit of the money shot. Moreover, all Kwando camps equip each vehicle with two guides: one to track and one to narrate and answer questions. Selinda Explorers takes a natural approach to everything from excursions to amenities. Although vehicles are available, exploration by foot and canoe is encouraged to accentuate the plants, insects and small animals often overlooked by other Botswana safari camps that favor motorized excursions. The camp is 100% solar-powered, with a grey water treatment plant and in-progress system for processing black water with ecological sensitivity. Open-air bathrooms with bucket showers embody the classic safari experience, and guests can even take a bath under the stars in a vintage brass bathtub on the sandbank of the Selinda Spillway! Stanley's is home to the non-profit Living with Elephants Foundation and famous meet-and-greets with Jabu and Morula, a pair of rescued orphaned elephants. 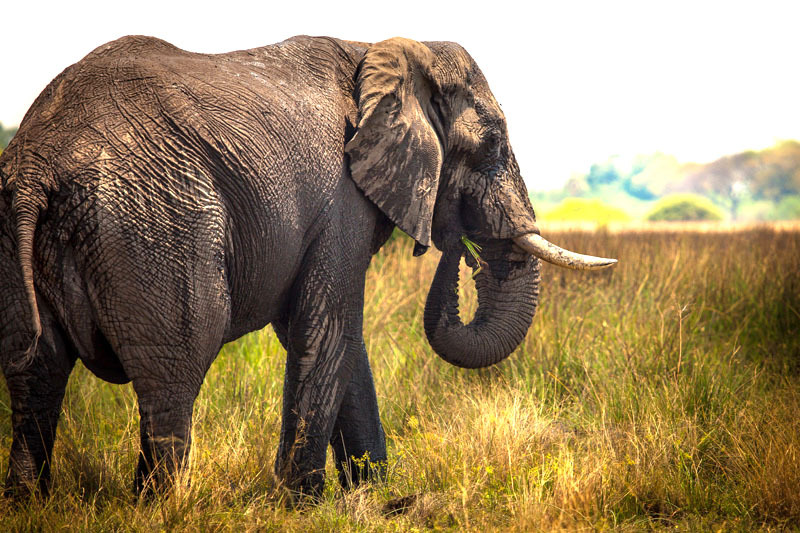 The intimate experience quickly becomes a highlight of any Botswana safari trip, and it's an unforgettable way to support the organization's efforts to create harmonious human-elephant relationships and educate children from local villages. Apart from the elephants, Stanley's also focuses on water activities when the Okavango Delta is flooded (most of the year). Options include mokoro tours of the delta's placid channels and picnic "water lunches" amid floating lilies, frogs, and the occasional hippo. 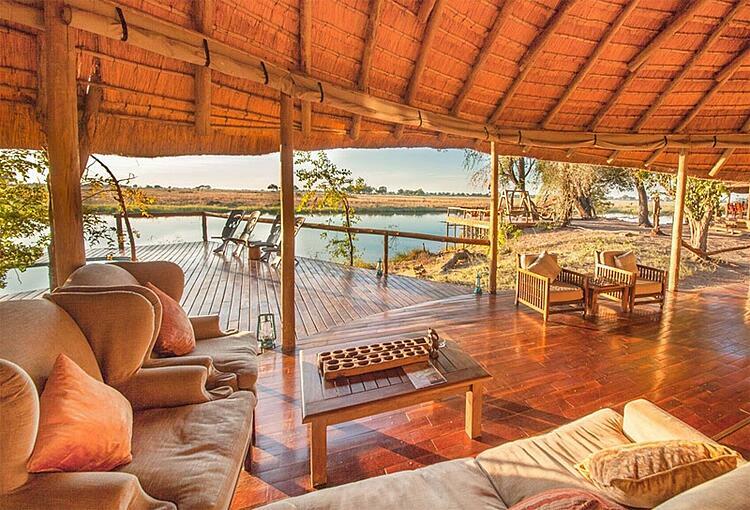 The first Bushman-owned Botswana safari camp is set in the game rich Okavango Delta, far away from crowds. 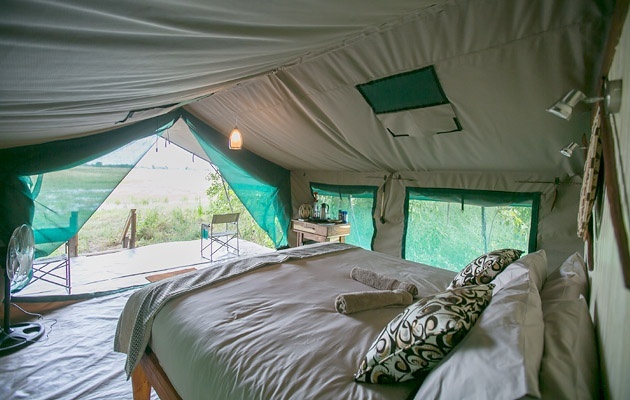 Bushman Plains is one of Botswana's smallest camps (there are only four tents!) and also one of the most authentic. Bucket showers and canvas-floored tents create a throwback safari atmosphere unhindered by superfluous bells and whistles. Resident wildlife is remarkable: wild dog sightings are regular, and lions are another centerpiece. Owners Ola, Dicks and Toffee witnessed their clan's 1989 transition to a permanent village, but they vividly remember the hunter-gatherer days. After establishing themselves as exceptional guides at various prestigious safari camps, the three brothers returned to their ancestral lands and founded Bushman Plains to preserve and share their heritage. The camp funds village education, and Bushman elders are regularly invited to stay and reconnect with the bush for the first time in decades. Wildlife conservation is taken just as seriously as cultural preservation: human-wildlife interaction is closely monitored in order to mitigate conflict and create harmonious relationships. At Bushman Plains, guests and natives alike end each day around the fire, sharing stories just like Bushmen have for tens of thousands of years. The hosting brothers wisely impart knowledge on cultural walks and expertly scout out sightings on daily safaris. They'll also take you on a hot air balloon excursion (from April to August) and/or a helicopter expedition to the ancient rock paintings of sacred Tsodilo Hills. Wanna stay at any of these amazing safari camps? 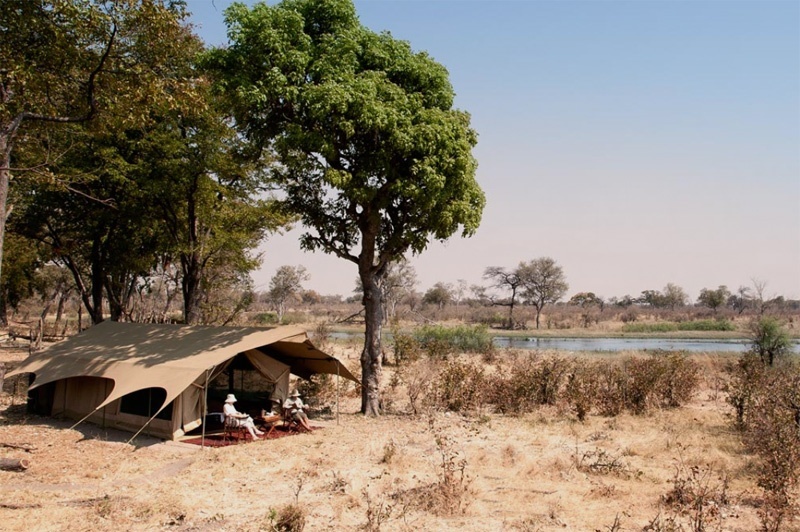 Let Global Basecamps' expert travel specialists build an itinerary to Botswana that's custom-made to your exact interests and travel style today.